What effect dose it have? ●It controls secretion, sores and itching of eczema on the face and head. Have you forgotten to tell you physician about something important? If you ever had any unusual or allergic reaction to any medicines. If you are using any other prescription or nonprescription (OTC*) medicine. Make sure your doctor knows if you are pregnant or breastfeeding. *：Over The Counter medicines, medicines bought at pharmacy or drug stores. Follow your doctor’s instructions. Take with a glass of water or lukewarm water. Take it as soon as you remember. If the next prescribed time is within 2 hours, wait and take it at the next prescribed time. Never take double dosage at one time. If you mistakenly took too much. Check your doctor or pharmacist immediately. ●Elderly Person：Strictly follow your doctor’s instructions. Do not stop this medicine on your own without the advice of your doctor. What should you mind after taking the medicine? ◆If you become aware of the following symptoms, please stop taking this medicine and consult your doctor immediately. Blood pressure rises. Body feels swollen. Weight increase. Limbs feel heavy and you feel listless. Limbs are cramping. Limbs feel numb. ◇If you become aware of the following symptoms, please consult your doctor as soon as possible. Rashes. Skin becomes red. Itches. Throbbing in the heart. Rush of blood to the head. Numbness in the tongue. Nausea. In treatments using Japanese traditional herbal medicine, different Japanese traditional herbal medicines may be used depending on individuals’ symptoms and constitution even when the illness is the same. Conversely, the same Japanese traditional herbal medicine may be used according to the symptoms and constitution even when the illnesses are different. One product is included in your shopping basket when clicking the 【Add to Shopping Basket↓】 button . In case of plural buying, enter quantity and click 【Add to Shopping Basket↓】 button. Another product is added to your shopping basket when clicking 【Add to Shopping Basket↓】 button of another product. Because it uses SSL ( the security function ), information on you is safely kept from this order. 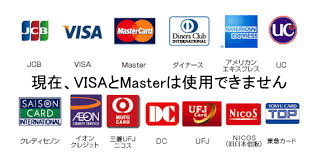 Credit cards became possible to do the use which is. The postage is 500 yen of various part of Japan.The postage is free of charge in the equal to or more than 5400 yen ( the taxes included ) buying. ●It conforms an order at the above shopping basket, in the e-mail, the telephone or Fax. The contact with Hal pharmacy is this. ●In case of buying of equal to or more than 5,000 yen ( 5,400 yen of price including taxes ) of values of product, it is a free delivery. ●In case of buying of less than 5,000 yen ( 5,400 yen of price including taxes ) of values of product, it is 500 yen of postage first in the nation laws. ●In case of the oversea, it charges substantial postage separately. ●It charges an excise separately. 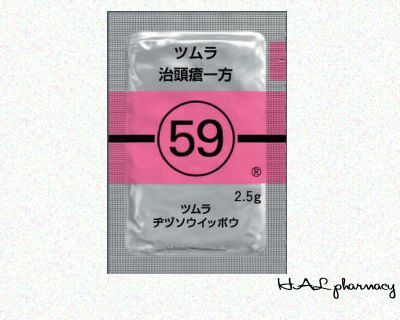 ( It is 5 % of the selling price ).All price including taxes have been displayed. ●The cash-on-delivery-commission of the YOU pack ( the cash on delivery ) to say is free of charge. ●In case of transferring the transfer fee is necessary. ●In case of postal book-transfer, the postal book - transfer fee is necessary. ●The returning receives if not opening a product and it is within 2 weeks from the report.We request a delivery fee for the returning in the load of the customer.